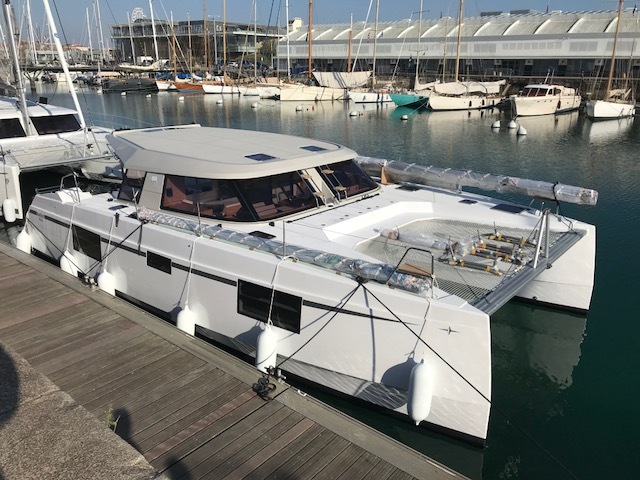 The Nautitch 40 transfers from its launch site in the old marina to Port des Minimes La Rochelle. This is the next stage of it delivery to California. Weather permitting she will move from next to Southampton UK for loading on a ship later this month. The Latest Lagoon 630 Motor Yacht departs for Florida . Reliance Yacht Management was tasked to deliver her safely from the factory in Bordeaux to her final destination in Ft Lauderdale. This involved the coordination of the various elements required to create a seamless, multi model delivery. After launching, Long Monday required the necessary QC checks and sea trials before she was accepted by the client. Temporary safety equipment was supplied and Reliance Yacht Management moved her up the coast to La Rochelle where she was prepared for loading. Further QC checks were made and protection installed in the vulnerable areas. The dinghy was covered to protect it for the duration of the shipping. The Captain captured in video the moment it was lifted out of the water on board and secured to the deck. At every stage Reliance Yacht Management organised and liaised with yacht builder, QC, captains, shipping lines, insurers, port authorities, document agents etc to ensure a smooth transition. Reliance acted as the single point of contact throughout. 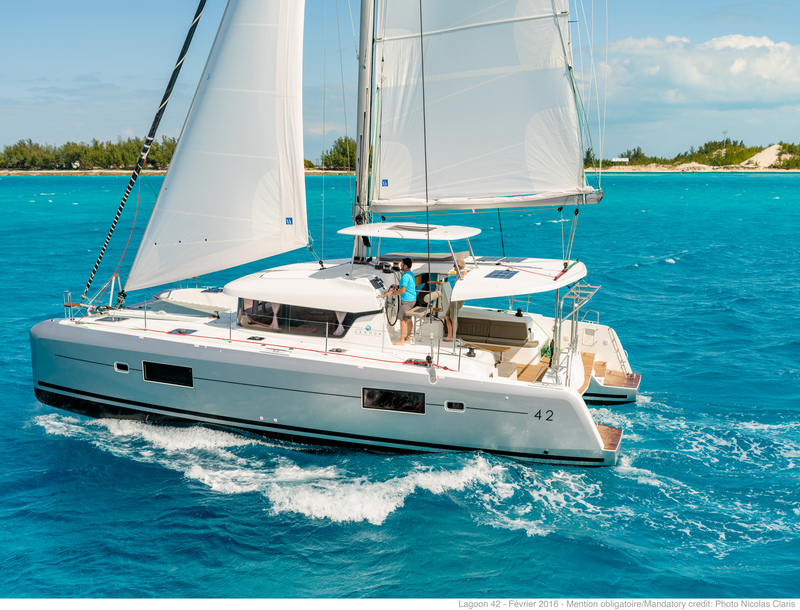 Reliance Yacht Management is pleased to announce the delivery of the Lagoon 42 hull no. 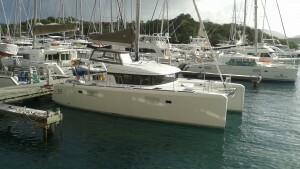 199 sailing catamaran. Her maiden voyage was from the commissioning port in Les Sables d’Olonne, France to Ft Lauderdale. A voyage of 5000nm. The delivery was contracted by the leading Lagoon dealers, the Catamaran Company with offices in Ft Lauderdale. Care was taken from outset with protection of the vulnerable areas. The route taken was also important to minimise or eliminate any wear and tear. Timing your weather window to cross Biscay is essential in January. The yacht carried on to Cascais in Portugal where the engines had their first warranty service. Brief stops were made in the Canaries and the Cape Verde island before crossing to the Virgin Islands and then up to Ft Lauderdale. The boat will be available to view at the Miami Show. You may learn some difficult truths but it is essential to understand the customer experience. How else will you improve your service? Negative feedback should be considered as constructive and acted upon. Positive feedback should be celebrated and shared. And this is the latest positive feedback. I’m extremely pleased, so a big Thank You to you and the rest of the Team. 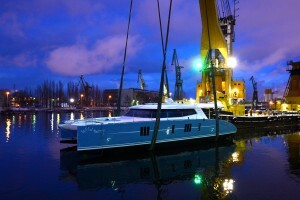 In their latest news, Sunreef yachts publish details of the delivery of the first 74 built in Poland and delivered by Reliance Yacht Management to Florida. 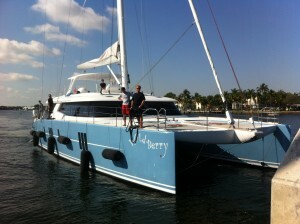 Wildberry, the first Sunreef 74 completes delivery to Florida. She arrived yesterday in Ft Lauderdale to complete its 6000 nm delivery from the yard in Poland. During the 42 day voyage there were planned stopovers in France and Madeira. At each stage the captain created technical reports which gave valuable feedback to the builders. 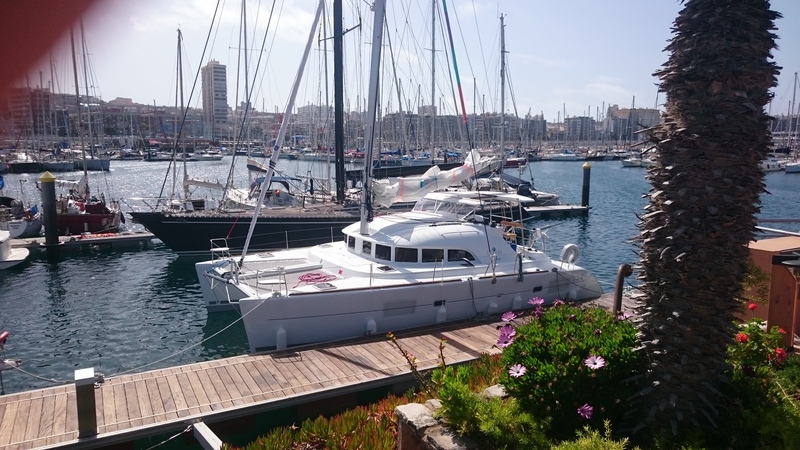 The builders, the brokers and most importantly, the Owner were able to follow progress of the delivery via a secure dedicated webpage created by Reliance Yacht Management that gave live updates, positions, speed, weather charts and reports from the captain and shore based support. Nick, we were on the boat yesterday and it looks great. Your delivery crew did a great job of taking care of it. Captain N is a first class delivery captain and I’d highly recommend him to anyone for a delivery. I was especially pleased to see that you took care of the boat as if it was his own and would deliberately slow his delivery time to avoid pushing the boat more than it should be. The thoroughness of his delivery report with the “squawks” of what is broken or may warrant attention, including potential improvements, was exactly what I was hoping for. Nick, if you every need a recommendation for your company or this particular delivery crew; I’d be happy to provide one. Best Delivery Crew Ever. Theses guys stay on the boat for few days and clean the boat, topside and even did the stainless polish. Thing I have not seen from a delivery crew for long time. In this second posting in the series “In Praise of our Client” we highlight one of the industry leaders in the leisure marine market.